YTMPipe connection equipment is designed for strong and safe pipe connection applications. 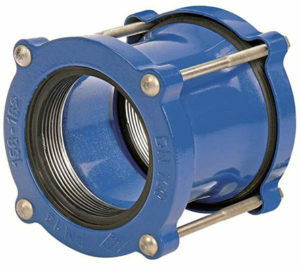 They are specially manufactured for adapting all different pipe diameters and types. Scale and dimensions of equipment can be changed as variety of pipe material. All type of equipment is producing according to ISO9001-2008, ISO14001-2004, TSE, CE, TZW-KTW standardization. And they are also coating with Epoxy which is allowed for drinking water.